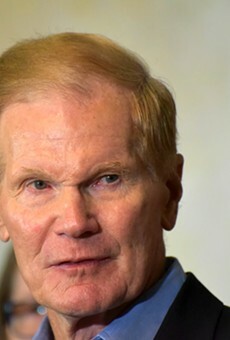 In a matchup mirroring the deep partisan divide engulfing the nation, U.S. Sen. Bill Nelson and Florida Gov. 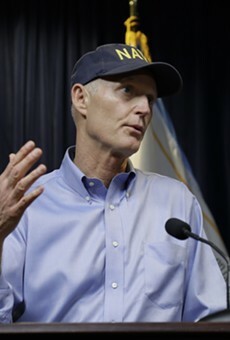 Rick Scott bickered Tuesday about red tide, guns, immigration and a controversial Supreme Court nomination in their first debate before next month’s U.S. Senate election. Nelson, a Democrat, and Scott, a Republican winding up his last year as governor, reached almost no consensus during the hour-long Telemundo debate, which was scheduled to air Tuesday night. “The governor keeps coming out with one whopper after another. Apparently, you never got your mouth washed out with soap after telling a lie because you keep on going on, on every part of my record,” Nelson shot back, according to a transcript released Tuesday afternoon by Telemundo. Nelson said he intends to vote against Kavanaugh, adding that he tried repeatedly in vain to meet with the appellate judge. Nelson praised Ford’s “compelling” testimony when she and Kavanaugh appeared separately before the Senate Judiciary Committee last week. Ford “was expressing for millions of women in this country the ‘me too,’ that sexual assault has happened to them. And she was doing that in front of 11 Republican men that seemed to dismiss it,” Nelson said, referring to the Republicans on the committee. Kavanaugh, who angrily criticized the confirmation process and what he viewed as a Democratic conspiracy to thwart his confirmation, lacks “the temperament that is needed of what you want to put someone on the highest court in this land,” Nelson said. The testimony of both Kavanaugh and Ford were “convincing and raw, pure emotion,” Scott said. Scott then assailed Nelson for failing to expose Congressman Alcee Hastings for settling a sexual assault claim for over $200,000. The two opponents also sparred over Puerto Rico. Both campaigns have attempted to endear their candidates to the more than 1 million Puerto Ricans —- and up to 50,000 more who moved here after Hurricane Maria —- who call Florida home. The day before the debate, Nelson secured the endorsement of Puerto Rico Gov. 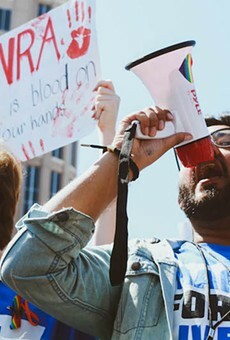 Ricardo Rosselló, despite Scott’s repeated trips to the U.S. territory following last year’s massive storm, which wiped out electricity island-wide and resulted in 3,000 deaths. Trump has also been widely disparaged for accusing Democrats of inflating the number of fatalities. “The president has treated its citizens as second-class citizens,” Nelson said, mocking Trump for throwing paper towels into the audience when he visited Puerto Rico shortly after Maria made landfall in September 2017. “Now, my opponent has said when down there in Puerto Rico, what would you have done differently? And he said, quote, I would not have done anything differently. I think that pretty well tells you about the treatment of the people from Puerto Rico,” Nelson said. Scott countered that he wanted “to do everything I can to help Puerto Ricans” after the storm. “It was never about politics. It was about helping our fellow citizens,” he said, rattling off a list of the aid the state provided to the island and to migrants who fled to Florida. In front of the Hispanic debate audience, Scott, who has close ties to Trump, sought to separate himself from the president on the issue of children whose parents illegally brought them into the country. “He’s been there when his party controlled both chambers and the White House, and he did nothing,” Scott said. The two candidates also pointed the finger at each other over recent outbreaks of toxic algae and red tide that are impacting waterways and beaches on both coasts. “Red tide is something that's naturally occurring. I've declared a state of emergency,” Scott said, saying the state has sent “millions” of dollars to the counties to deal with the crisis and committed $17 million for research projects. 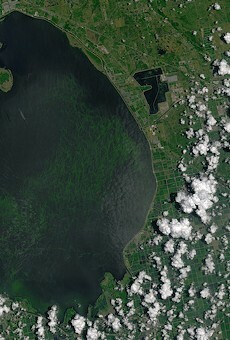 But he blamed Nelson for the toxic algae outbreak, saying it was linked to the failure to improve the Herbert Hoover Dike around Lake Okeechobee. “He has never done anything to get us the money to fix the dike at Lake Okeechobee, which is a 100 percent federal project,” Scott said. Nelson called that “a whopper,” pointing to major cuts in environmental funding by Scott that affected water management districts and eliminated the Department of Community Affairs. During his eight years as governor, Scott has “systematically disassembled the environmental agencies of this state,” Nelson said. “You see the result. You put pollution in the water, it will grow the algae in the heat of summer. And then when that algae goes down the rivers and mixes with a bacteria known as red tide, it supercharges that,” he said. 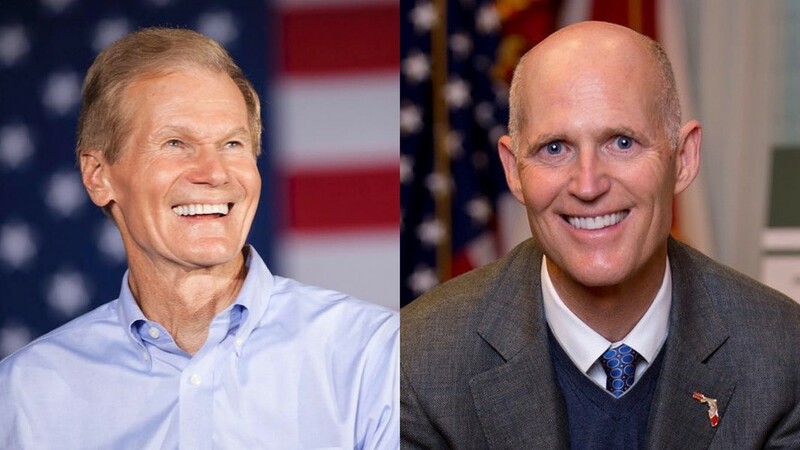 But Scott said environmental funding has increased during his tenure, including a state commitment to spend $200 million a year on Everglades restoration. He also said he worked with Trump to secure funding for the dike repairs, which he said would be completed in 2022. Also, the two candidates clashed over gun-control laws in the wake of the Feb. 14 mass shooting at a Parkland high school killed 14 students and three faculty members. Nelson pointed to Fred Guttenberg, who was sitting in the audience and who lost his 14-year-old daughter, Jaime, in the attack. Scott said his “heart goes out” to all the shooting victims and their families. And he said he worked with parents, like Guttenberg, in crafting a quick response to the shooting that includes more law-enforcement officers and more security measures for schools and more mental health counselors. “And within three weeks after the Parkland shooting, we passed a comprehensive bill,” Scott said. “He can talk like he cares about these things. Here's the difference, Sen. Nelson is fine with taking away certain guns from law-abiding citizens,” Scott said.